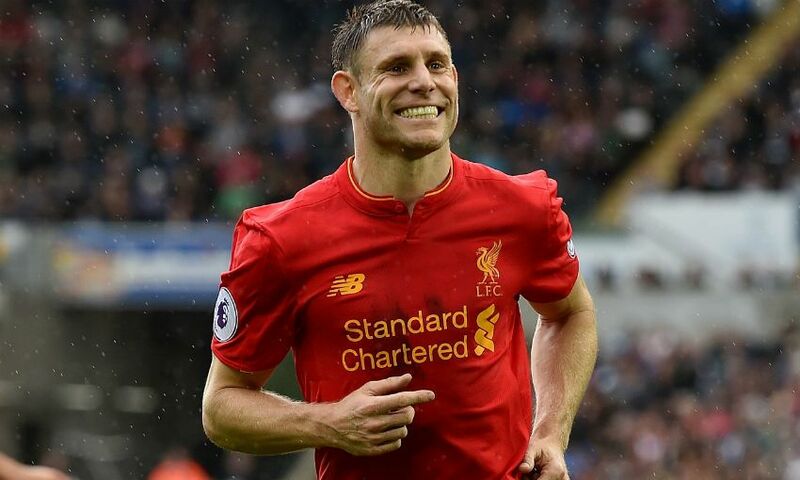 Spending international breaks at home is a new experience for James Milner, but the Liverpool vice-captain feels he is already reaping the benefits of retiring from England duty. After amassing 61 caps in a senior international career that spanned seven years, Milner announced his decision to end his association with the Three Lions shortly before the start of this season. The 30-year-old missed Liverpool’s first Premier League game of the campaign at Arsenal due to injury, but has since impressed in an unfamiliar left-back role while also contributing four goals from the penalty spot. Milner’s latest successful spot-kick earned Jürgen Klopp’s side a 2-1 victory at Swansea City on Saturday - a fourth consecutive league win that means the Reds sit just two points off the top of the table during the second international break of the season. While many of Milner’s team-mates will represent their countries in the coming week, the No.7 will be working at Melwood ahead of Liverpool’s clash with Manchester United at Anfield on October 17. And the former Manchester City man has offered an insight into how his professional life has changed since he left the international stage. “It’s obviously different. It’s a new phase for me in my career. I don’t have a rest, if that’s what people think, the manager works us hard when we’re here,” Milner told Liverpoolfc.com in a chat with us last month. “To concentrate on Liverpool is obviously the big thing for me now. We had a game in the [previous] international break to keep us ticking over. I felt pretty fresh going into the next round of fixtures after the international break. “I had done it for a lot of years, going away with the national team and coming back - and sometimes it was quite tough when you had been travelling, had a couple of days and were back into the fixtures. Milner went on to say international breaks now offer him the opportunity to recharge his batteries mentally, as well as physically. “Although we’re training hard here, you get the odd day off here and there, so that helps. [It’s] just that mental break as well I think - the travelling and being in that competitive mode every three days for a full season,” he added. “Whereas with the international break, it’s 10 days where I don’t have a competitive fixture to worry about. It just gives you that bit of respite. “You’re obviously training hard, but you have heard so many people talk about it prolonging their club careers - and it’s not only a physical thing, I think it’s a mental thing in giving you that time to switch off and feel fully refreshed.